Below you fill find all funeral homes and cemeteries in or near Farmersville. Farmersville is also known as: Collin County / Farmersville city. Zip codes in the city: 75442. Some of the notable people born here have been: (herb ellis), (tex mcdonald), (jim haislip), (jim hess), and (john monroe (baseball)). It was written on October 13th, 2016 that Lawrence F Jr Crouse passed away in Farmersville, Texas. Crouse was 52 years old and was born in Newark, OH. Send flowers to express your sorrow and honor Lawrence F Jr's life. It was revealed by The Chronicle on January 16th, 2015 that V Kathelene "Kathie" Miskimens (Denton) passed on in Chehalis, Washington. Ms. Miskimens was 86 years old and was born in Farmersville, TX. Send flowers to share your condolences and honor V Kathelene "Kathie"'s life. It was disclosed by The Chronicle on January 16th, 2015 that V Kathelene "Kathie" Miskimens (Denton) passed on in Chehalis, Washington. Ms. Miskimens was 86 years old and was born in Farmersville, TX. Send flowers to express your sorrow and honor V Kathelene "Kathie"'s life. It was noted by The Porterville Recorder on August 20th, 2014 that Dolores Maurie Iness (Hutchinson) passed on in Porterville, California. Ms. Iness was 78 years old and was born in Farmersville, TX. Send flowers to share your condolences and honor Dolores Maurie's life. It was disclosed on January 15th, 2014 that Regena Eltzroth passed on in Farmersville, Texas. Eltzroth was 69 years old and was born in Wabash, IN. Send flowers to express your sympathy and honor Regena's life. It was revealed by Tyler Morning Telegraph on April 17th, 2013 that Lillian Lucille Lane (Stringer) died in Farmersville, Texas. Ms. Lane was 93 years old. Send flowers to express your sympathy and honor Lillian Lucille's life. It was written by Tampa Tribune on December 23rd, 2012 that L Wayne Rev Pitts perished in Lakeland, Florida. Pitts was 91 years old and was born in Farmersville, TX. Send flowers to express your sorrow and honor L Wayne Rev's life. It was written by Register Guard on July 1st, 2012 that Glyn "Tex" Latham died in Cottage Grove, Oregon. Latham was 83 years old and was born in Farmersville, TX. Send flowers to express your sympathy and honor Glyn "Tex"'s life. It was reported by Abilene Reporter-News on April 25th, 2012 that Jo Ann Crawford (Bullock) passed on in Farmersville, Texas. Ms. Crawford was 79 years old. Send flowers to express your sorrow and honor Jo Ann's life. It was disclosed by San Mateo County Times on March 13th, 2012 that Burtis Reed Prater died in Madera, California. Prater was 90 years old and was born in Farmersville, TX. Send flowers to share your condolences and honor Burtis Reed's life. Farmersville is a city in Collin County, Texas County, Texas, United States. Markham, practicing here by 1855, is said to have been Collin County’s earliest physician. As town became a trade center, agriculture kept pace. The population was 3,118 at the 2000 census. 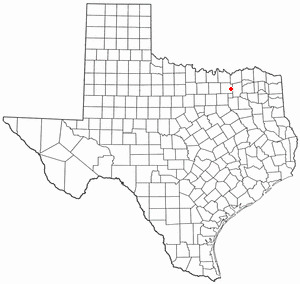 Farmersville originated in 1849 as a settlement on the Jefferson-McKinney Road, and near Republic of Texas National Road. Aldermen: James Church, Ben King, John Murchison, Tom Tatum, John P.
The official website for the city of Farmersville is http://www.farmersvilletx.com. She was born March 9, 1911, in Farmersville, Texas, to the late George Marion Baker and Martha ... Arrangements are with Taylor Bros. Funeral Home in Bay City, 979-245-4613. At Texas (The university as she fondly called it ... Visitation will be from 1 to 3 p.m. today at the Hursts Fielder-Baker Funeral Home in Farmersville. The finest roses, gifts and Mother's Day flowers delivered fresh. Serving Farmersville, Texas, surrounding suburbs and the entire country. We work with local florists and flower shops to offer same day delivery. You will find budget sympathy flowers in Farmersville here. Our funeral flowers are cheap in price but not in value.